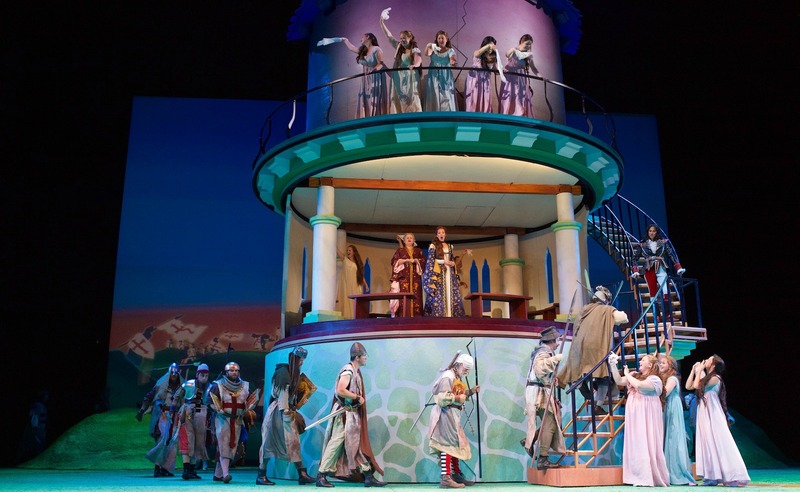 “Australian stage director Lindy Hume kept the action continually on the boil, while Dan Potra’s ingenious designs provided an ever-changing set with elements that revolve, slide, open, and close constantly into new forms, all beautifully lighted by Duane Schuler…much to the delight of operagoers." 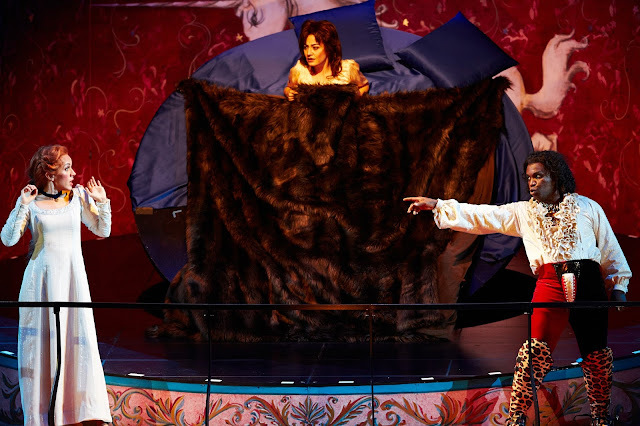 “The over-the-top costumes (which, like the set, were built by Seattle Opera) seem to draw inspiration from Liberace or Elton John, with a side of Monty Python: there are wild colors, frills and spangles, as well as codpieces in remarkable dimensions." “The ensemble work was terrific." “Dan Potra’s ingenious set design [is] full of smart visual play." “The sets and costumes make this production." “In this world, where time can slip forward and back through the centuries and gender is only as fixed as the clothes you wear, everyone ends up in harmony together." “Conductor Giacomo Sagripanti kept the orchestra going at sometimes-breakneck speed while everyone, onstage and off, seemed to be having the time of their lives."